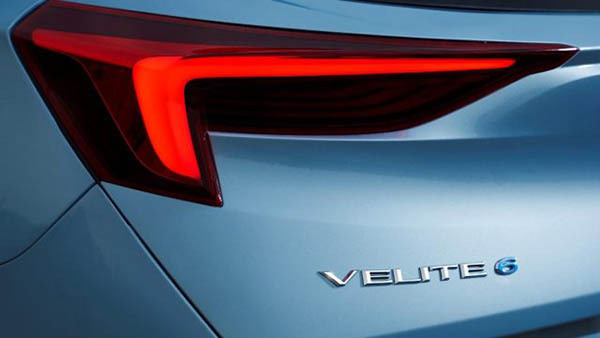 Buick is now teasing the production version of the 2016 Velite 6 concept. This is, so far, only for the Chinese market. Although we can expect a version of this to end up here. Probably as a Chevrolet. Since the Volt is sold in China as the Velite 5. This seems to be more like a sporty wagon version. 2 versions will be available. A plug-in hybrid, similar to the Volt. And a full EV, like the Bolt. Here is the concept from 2016. So far, we can only see the rear lights of the production version, and it does look pretty close. This should come here as the Buick Electra. A smaller AWD wagon under the Regal would be nice in the Buick showroom. The Buick Electra idea is a great one. The Buick brand can differentiate itself (with some truly unique product) and resurrect a name with some meaning. This design looks just as good as the new Jaguar I-Pace, and can hopefully compete at a lower price point than the Jag or or pricy Tesla Model 3.
yummy more lobster claw tail lights! Accord, Volvo, new Forester and now this. I think the 2016 Buick Velite Concept was very good-looking. 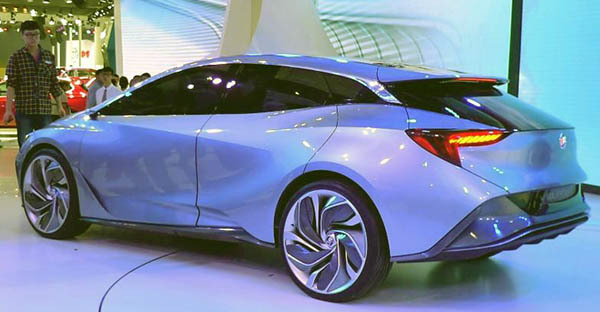 Does GM have the guts to produce it as-is? Since they didn't produce the Buick Avista after all the acclaim it received, they have to take a chance once in a while.